Embase pour flexible micro à visser. 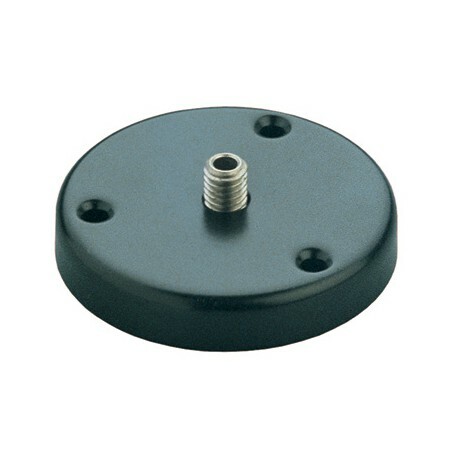 Black flange with 3/8" hexagonal screw to connect goosenecks etc. 4 mm cable entry hole. 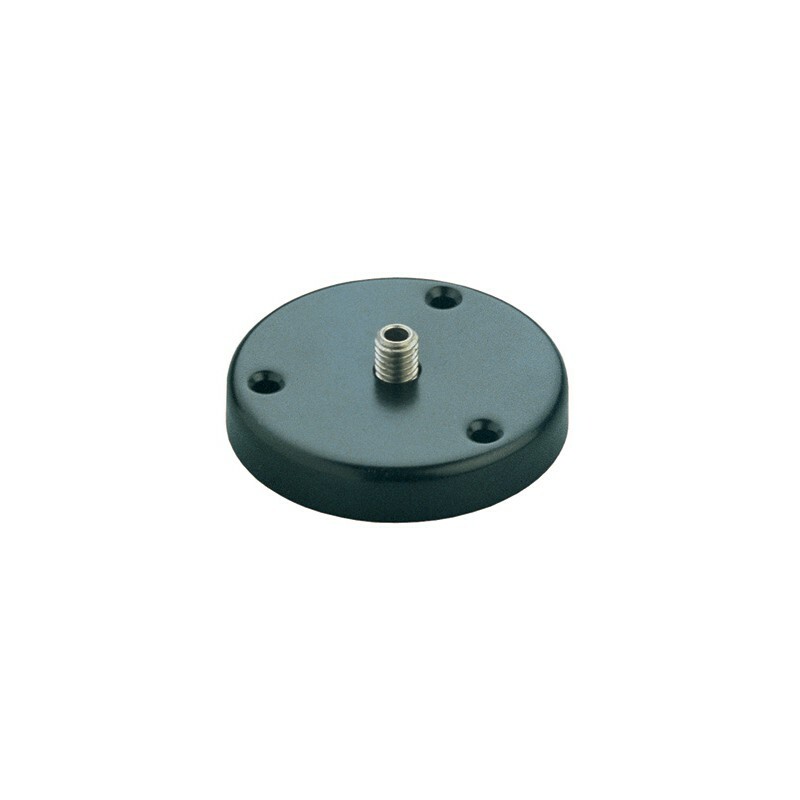 Wt: 0.1 kg, H: 13 mm, base-diameter: 73 mm.